We are delighted to have Harvey and Kerry Weir bring Anchor Milk Otago on board as our naming Gold sponsor for 2019. Harvey and Kerry Weir have lived in Oamaru all their life. They are always prepared to help out and roll their sleeves up where possible, especially with our youth. They love sports and the outdoors which will bring a huge skills base to the race which we are very grateful for. They Joined us last year as volunteers and a silver sponsor. Their time and professionalism helped us lift the race to another level and look forward to that partnership again this year. Laser Plumbing Oamaru is owned by Hayley and Shane Carter. They are always very supportive and willing to help out in our community and surrounding district. We are very excited about having them on board this year. Stephen and Judy Robertson are always keen to get involved with what is going on in Oamaru. They are continuously giving back, especially with the schools and youth of Oamaru. We look forward to having their support. Over the years Network Waitaki Ltd has given so much back into our community and once again they continue their support toward the area by coming on board with this exciting new event which we are very grateful for. Geoff Brown and his team from PlaceMakers Oamaru have serve their town continuously for years. Their generosity is shown over all of North Otago in many different areas. Thanks for your support and belief in this race Geoff. Thanks to the Oamaru Licensing Trust for their continued community support. We are excited about having the Crombie family on board with this event. Bevan has given a great deal back into Oamaru and now John is following in his father footsteps by playing a major role in getting this race up and running. Fat Sally’s Bar and Restaurant – The superb local pub, serving great food and the best meeting point for gatherings in Oamaru. Sally-Ann is a huge supporter of community events and a shining Gem in Oamaru’s Jewels. Millennium Joinery – Michael is the A2O Ultra founder and Race Director and brought the whole thing together for charity. He and Tania have been making the highest quality fixtures for North Otago homes and businesses for over 25 years, and the next Sandri generation have now proudly joined them. The running of this race has been made a lot easier with the ongoing support from the Mayor and Council. which are very grateful for. Thanks to the Sweat Experts at Precision Hydration who have partnered with A2O Ultra, Andy and his team have very generously supported us with key rehydration products during the event. They are also sharing a wealth of information and knowledge to our runners on sweating and rehydration tips via regular blogs and updates. Adair Craik Chartered Accountant – Adair is a huge supporter of people who strive to improve, and has supported generations of young athletes to regional, national and international success. Adair is a trusted Chartered Accountant and supporter of our region. 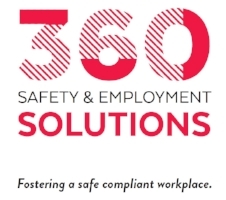 360 Safety and Employment Solutions – Gary and Jacque are Oamaru’s leading workplace Health and Safety consultants. They foster a safe and compliant workplace, and implemented the health and safety plan for the Alps2Ocean Ultra. Ben Coleman and Bill Dean at Dean and Associates are integrally involved in the community of the Waitaki and actively support a number of organisations. A2O Ultra are very pleased to have the support and guidance from this quality legal firm. Ben is also a Trustee of the Alps2Ocean Ultra Community Trust.